Over the weekend I used a new iPhone application, Word Lens, to perform magic tricks for anyone who would watch. Word Lens isn’t really a magic app, but using it was kind of magical for me, almost like seeing Houdini perform in real life. 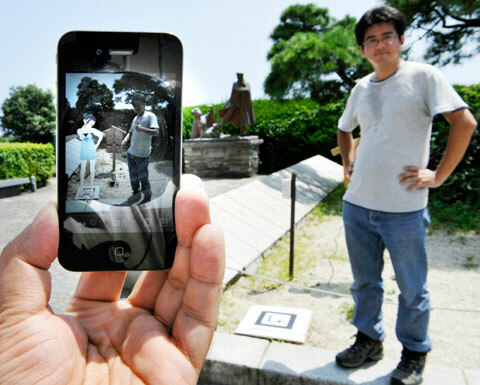 The app is an augmented reality program that can translate text from English to Spanish, and the other way around, instantly through the iPhone’s camera. It works like this: I hold the iPhone over this blog post, and it instantly translates my words into Spanish. Word Lens is one of the first augmented reality apps that I’ve seen that moves beyond the gimmick stage. It may even be a useful addition to a mobile phone.